I don’t really believe in the term “serial entrepreneur,” but I’ve certainly been called that in the past. Since graduating MIT and having a book (Bringing Down the House: The Inside Story of Six MIT Students Who Took Vegas for Millions) and a movie (21) made about me, I’ve now started or helped start four different companies. The last three were sold to Demand Media, Virgin, and Yahoo!, in that order. Most recently I’ve started a company called tenXer with the goal to “improve employee performance.” I am an advisor to four different other start-ups, and I love the entrepreneurial spirit—that’s why I’m excited and honored to be the keynote speaker at Autodesk’s inaugural I3D conference (December 2 at the Venetian in Las Vegas). Below are three essential tips—from the world of blackjack—that will help people become better entrepreneurs and succeed in their start-up businesses. These tips are a sampling of what I’ve learned in my nearly 20 years as an entrepreneur and are a good preview of what I will talk about at I3D. 1. Don’t Favor Inactivity Over Activity. 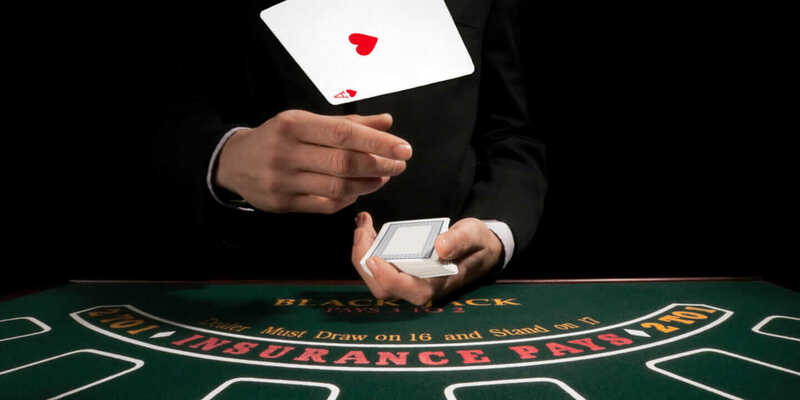 Although the optimal strategy for blackjack (called “basic strategy”) is both well studied and well documented, the average blackjack player still has a difficult time making the right decision at the tables. Incredibly, just learning the “optimal strategy”—that is, when to take a card, not take a card, double your bet, and so on—can decrease the casino edge from about 3 percent to 0.5 percent. Yet most blackjack players do not follow the optimal strategy. The classic case is when a player has a bad hand, such as a 16, and the dealer has a marginal up card, such as a seven. The optimal strategy in this case is for the player to take a card. But if they get a six, seven, eight, nine, 10, jack, queen, or king (more than 60 percent of the deck), they will lose automatically. So the natural tendency is for the player to stand pat on this hand (not take a card) in the hopes that the dealer himself will have to take a card and will bust. Professor Bruce Carlin at UCLA studied the game of blackjack and found that this is a common bias for which many blackjack players fall. 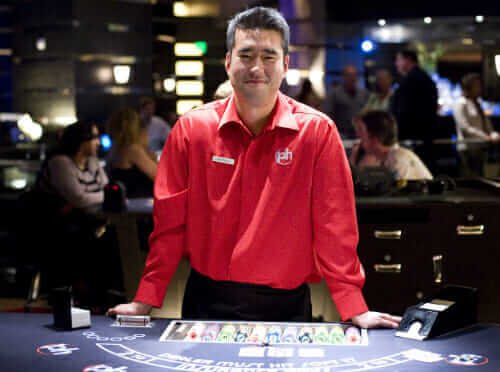 In fact, his studies showed that four times the amount of mistakes at the blackjack table were caused by players favoring inaction over action. We observe this bias not only at the blackjack table, but also throughout our lives. When faced with difficult decisions, we often favor inactivity over activity. We put off making a decision for fear of causing harm to ourselves or to our company. As entrepreneurs, we are faced with many difficult decisions, and ignoring or delaying them can prove disastrous. Waiting too long to fire someone or kill a struggling product line can often be more problematic than firing too quickly or pivoting too quickly. Yet many of us will maintain status quo, failing to remember that not making a decision is actually a decision to not make a decision. 2. Make Data-Informed Decisions. We talk all the time these days about data-driven decision-making. And the tenets of basic strategy will teach you that over the long haul, trusting the data and not your gut will benefit you in the long run. It’s indisputable. But the real world is not as perfect as blackjack, and when you try to be data-driven in a situation such as that of a start-up, you may find yourself faced with either imperfect, incomplete, or a lack of data. While this is frustrating, it shouldn’t cause you to abandon the data-driven approach; instead, it should motivate you to continue seeking out better, more relevant data. When I think about data in the real world, I preach being data-informed versus being purely data-driven. Simply seeking out the data and using it as one factor in your decision-making process will benefit you in the long run. 3. Embrace Failure. I speak often about losing $100,000 in two hands at the blackjack table. I have used this story to illustrate the determination and belief that I have in the power of numbers and statistics. A few years ago, I was speaking at a venture conference put on by legendary investor Vinod Khosla, and as I told the story of this horrific loss and the doubt it put in my mind, Vinod himself stood up and challenged me. Vinod was challenging my story and the presentation of my self-doubt, and as he did, I realized that in a sense he was right. I never really did doubt myself or the system I was a part of. In fact, in many ways I looked at this as only a minor setback and still believed that because our strategy, our process was so strong, the short-term failure meant nothing. I kept playing that weekend and didn’t let the setback faze me. In the next two days, I won back the $100,000 and eventually won another $70,000, ending up winning $70,000 for the weekend. I have always used that story as a rallying cry when things get tough as they inevitably do at my start-ups. The key is to understand, learn from, and embrace failure, focusing on your vision and process to ultimately succeed. For more tips, check out Business Tips From 7 Highly Successful Entrepreneurs.